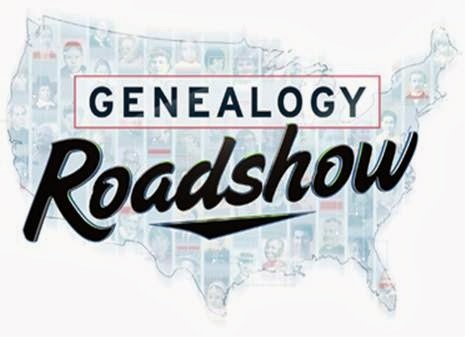 The PBS U.S. version of The Genealogy Roadshow premiers 23 Sept 2013. “Philip McGovern…, of Irish production company Big Mountain called the show “part detective story, part emotional journey, combining history and science to uncover fascinating stories of diverse Americans.” At a3Genealogy we are only surprised that this show took so long to make its way to our shores. Especially, since this is what we do every day. We prove or disprove family folklores, solve ancestral mysteries, and trace that elusive ancestor while proving kinship and lineage. Family historians and genealogists daily create their own roadshow. Going from town to town we uncover the secrets that are tucked away in vertical files of State Archives, record books of court houses, artifacts and memoirs hidden in local museums, and oh…if cemeteries could talk?!. Well, to the sleuthing genealogists each tombstone actually does add to our ancestor’s story and the headstones' clues may help bring down a brickwall. As genealogists we are proud to have our profession highlighted and our research exposed. But what is most exhilarating is the elation of our clients when family folklores are confirmed or denied. Season 1 of the Genealogy Roadshow takes place in Austin, Texas; Nashville, Tenn.; Detroit; and San Francisco. I watched it yesterday...LOVED it! Looking forward to the next one. So happy that PBS provides it for free and with closed captioning. Looking for Immigrant Passenger / Naturalization?